Pizza fans everywhere, we have fantastic news for you! Gourmet Madness has officially begun. 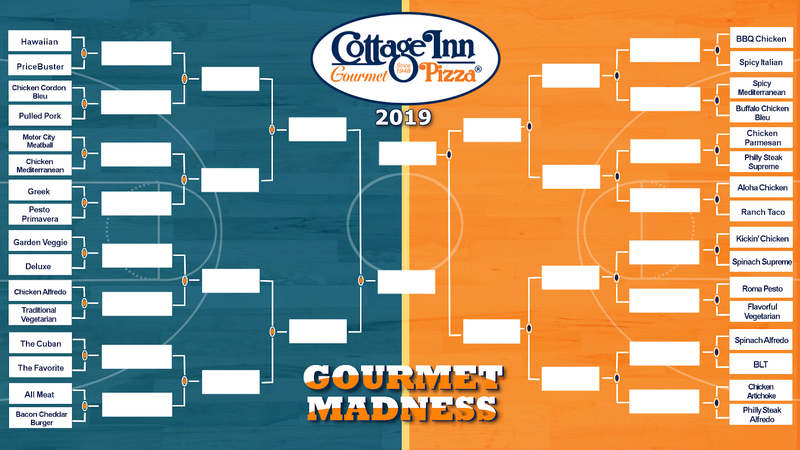 Over the next few weeks, 32 Cottage Inn Gourmet pizzas will compete in a tournament of their very own. Look forward to five rounds full of competition, excitement, and of course, great pizza. In the end, only one Gourmet pizza will be named the Gourmet Madness Champion. From March 21st until Monday, April 8th, the Gourmets will compete in multiple rounds of gameplay in a fight for the championship. 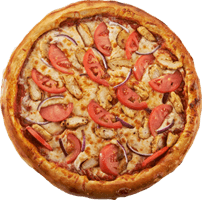 The Cottage Inn Pizza Center will keep you updated between rounds. Join hosts Mary Nara and Brock Lee as they interview Gourmet experts, make predictions, trash talk, and analyze the strategy of each gourmet (with plenty of pizza puns along the way!) You can find these videos on our YouTube channel. The first round begins Thursday, March 21st. We will be back on Wednesday, March 27th with updates and predictions for the second round. Which gourmets do you think will make it to the Saucy 16? Before the games start, be sure to fill out a bracket. We’ve posted one below this post for you to print and share. Place your favorite gourmet in the top spot and share your predictions on social media using #GourmetMadness. Keep up with the updates on our Facebook, and Twitter pages at @CottageInn.